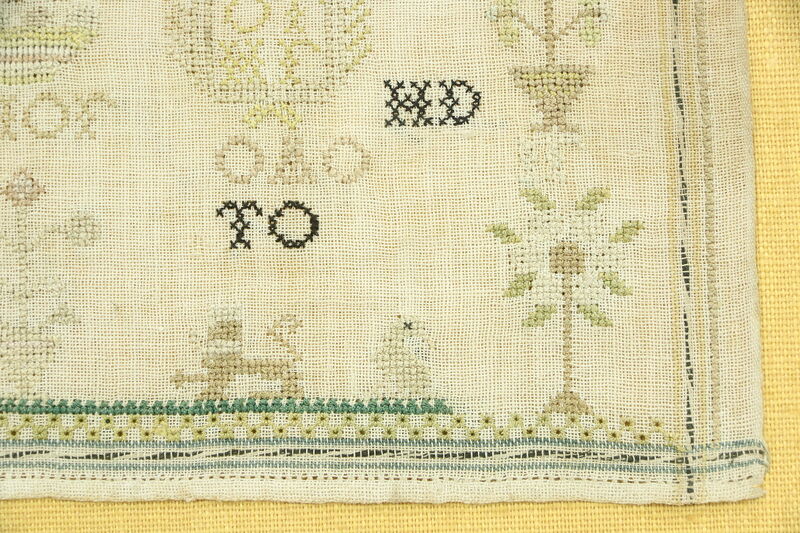 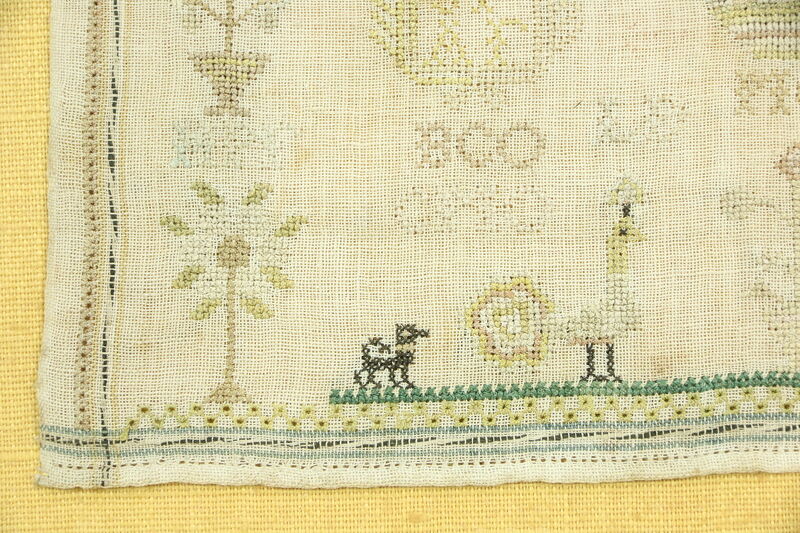 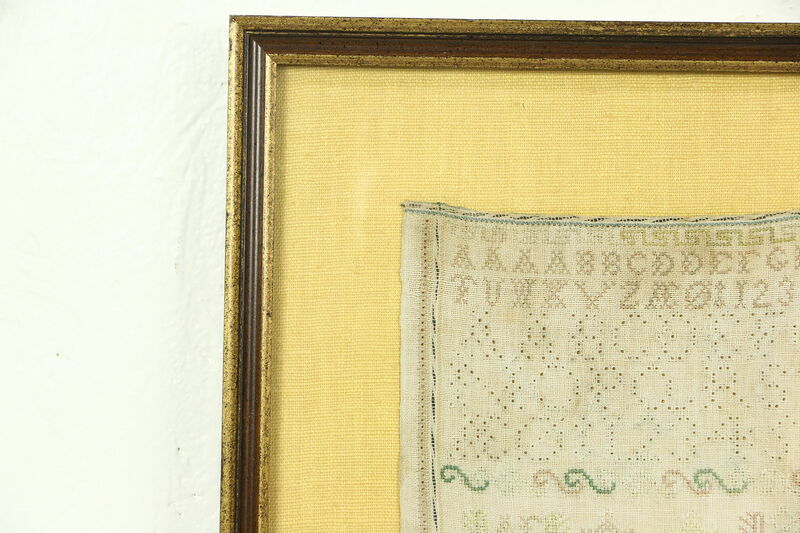 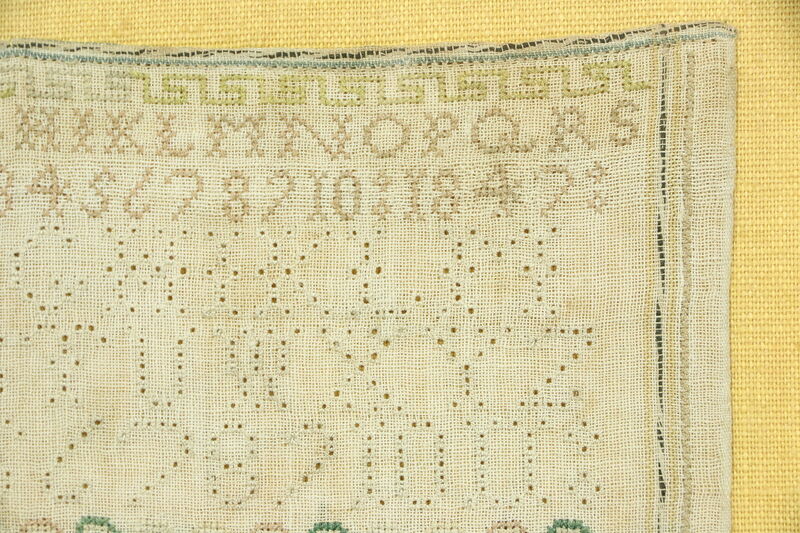 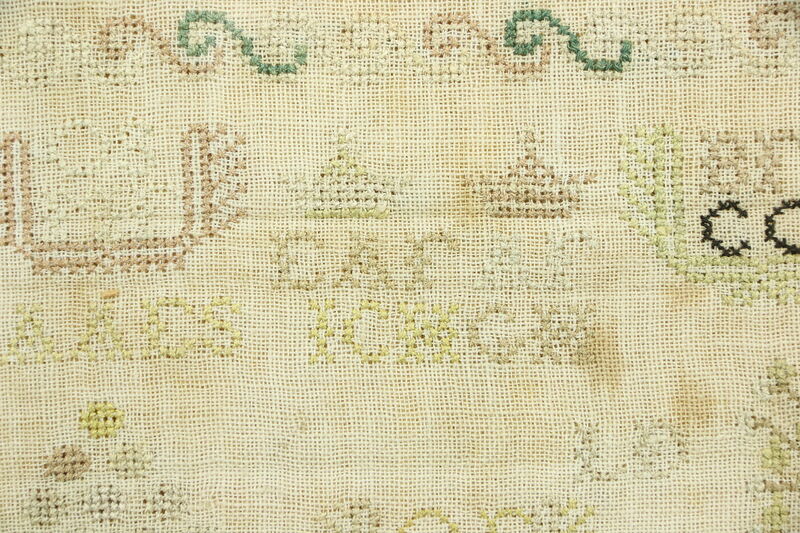 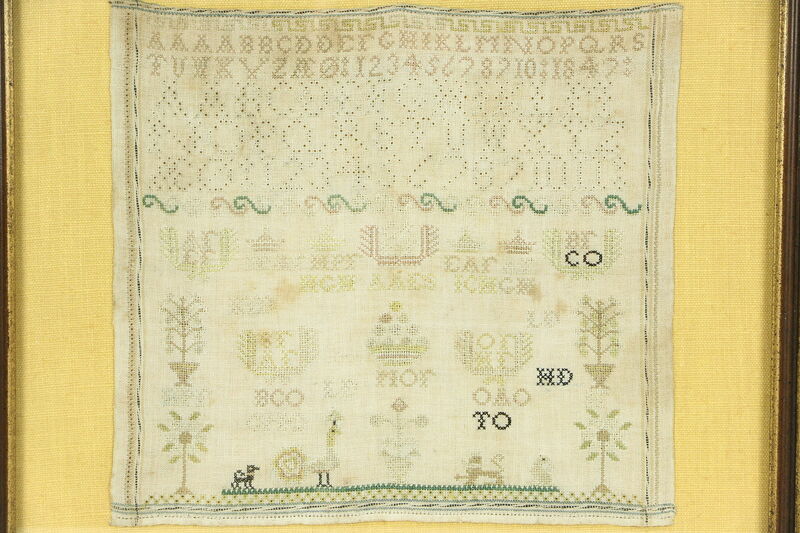 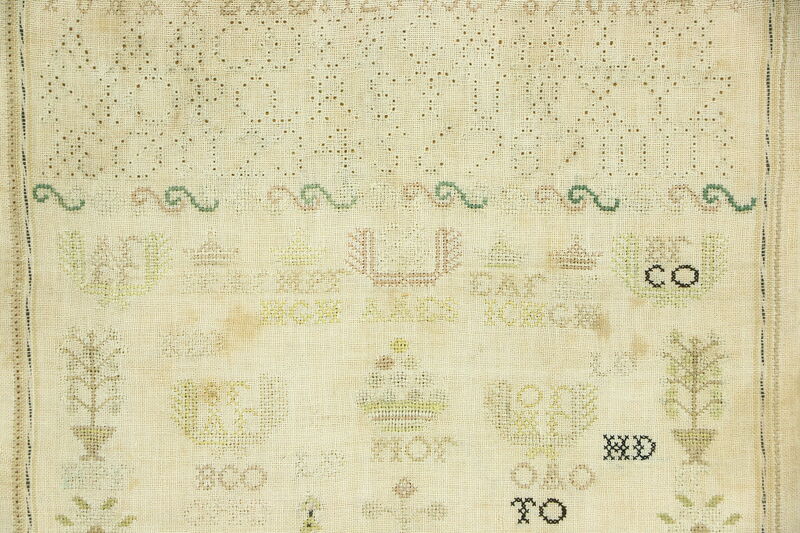 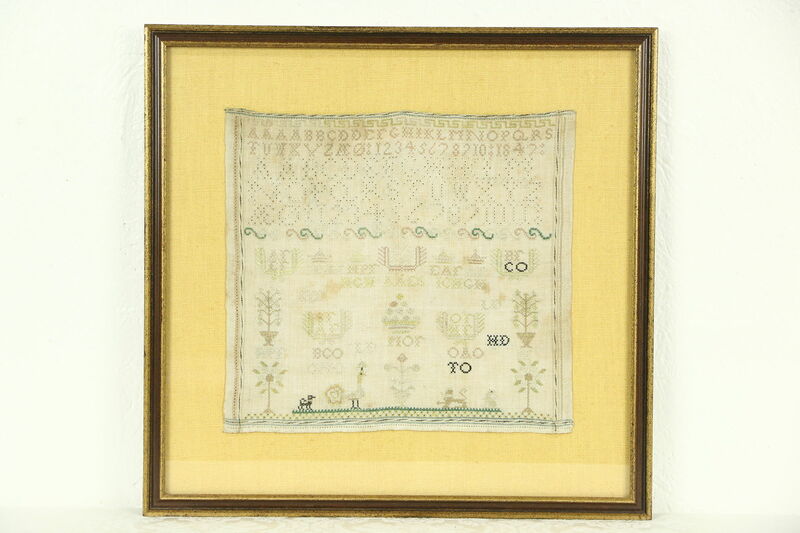 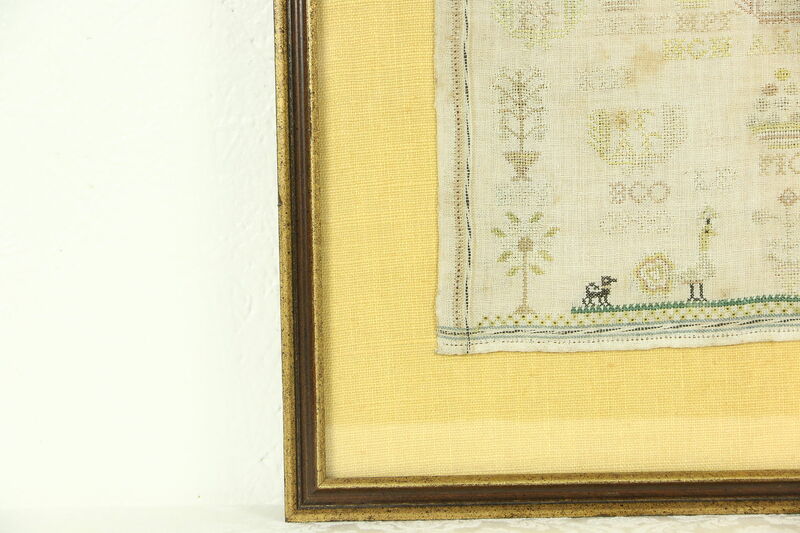 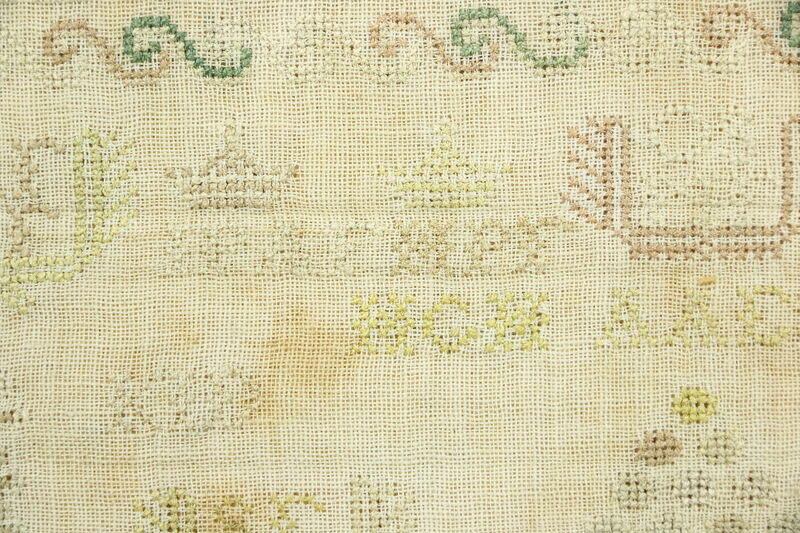 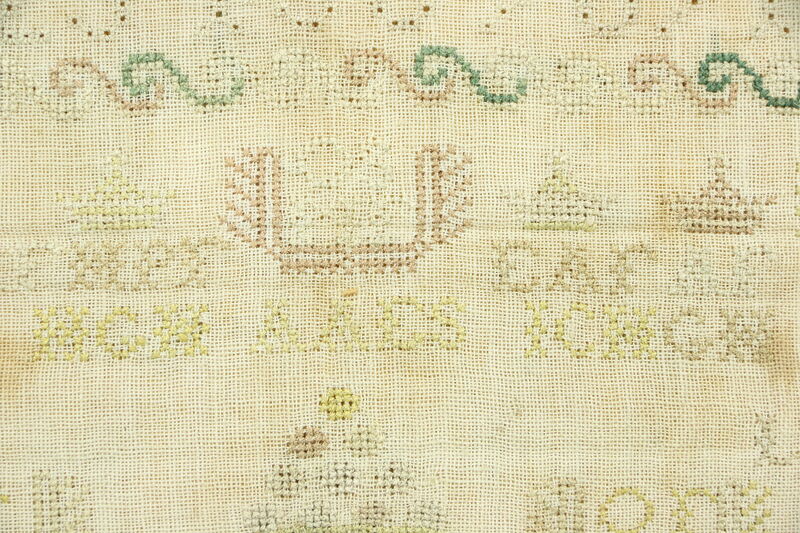 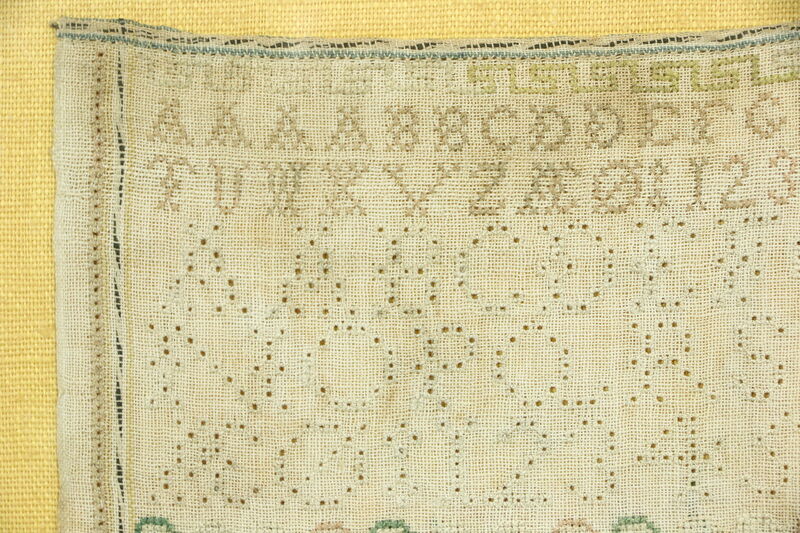 A young girl's sampler from around 1840 was hand stitched on a linen background, and has bird and dog motifs plus numerous initial of family members. 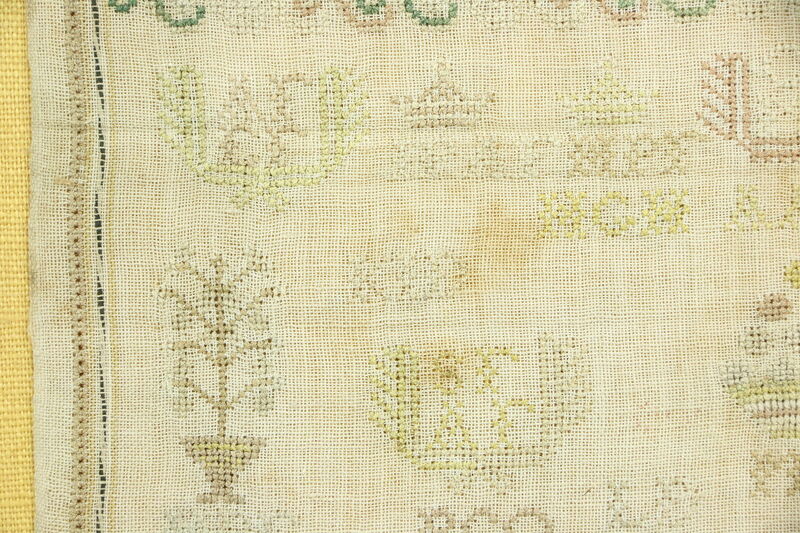 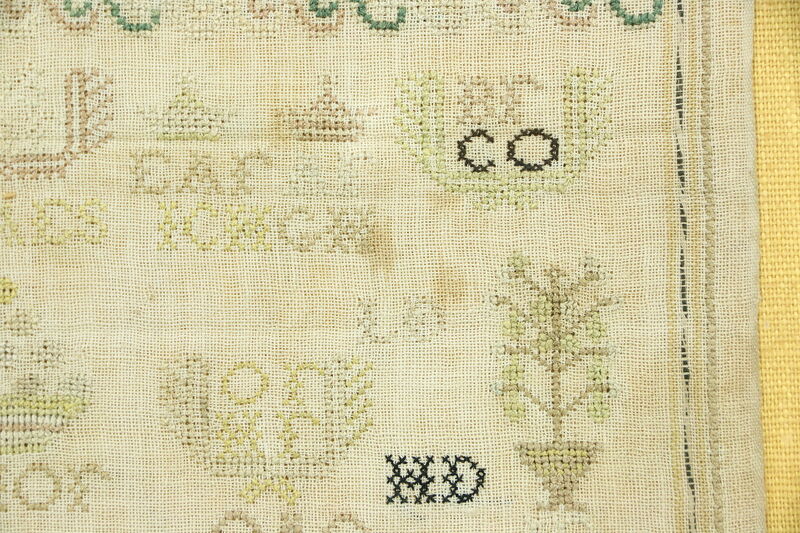 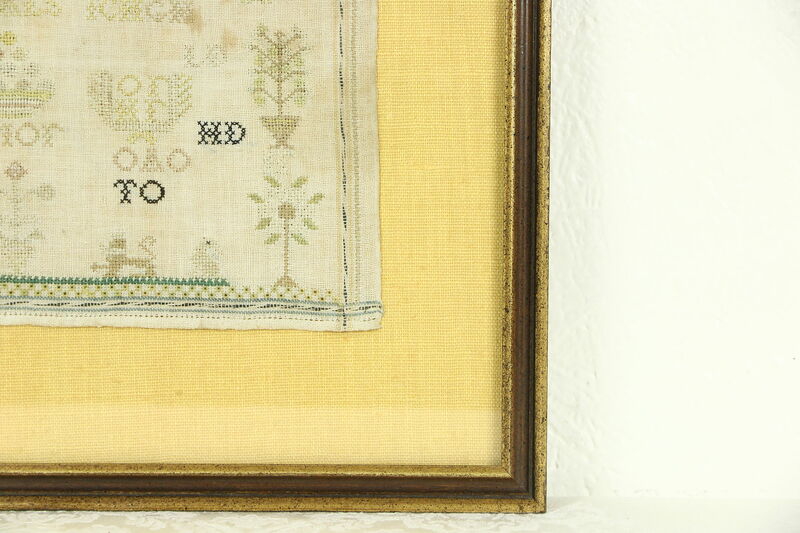 There are stains and fading on this antique needlework textile. 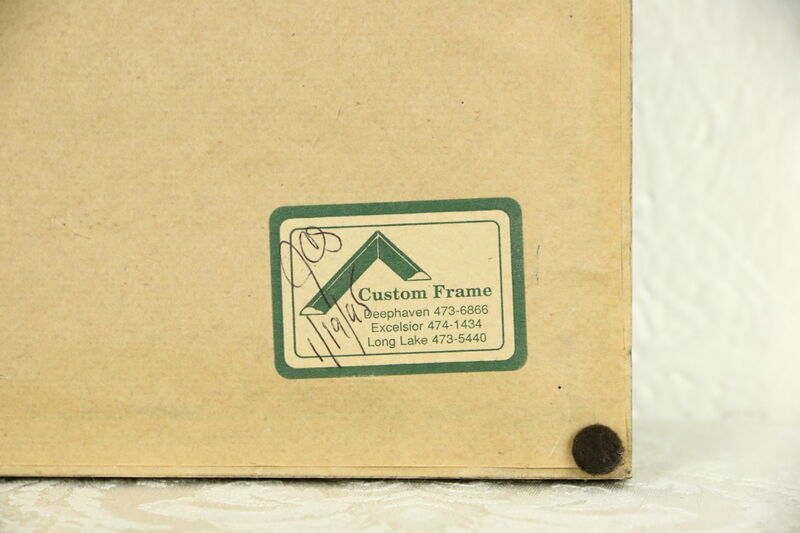 The modern framing with glass is dated 1995. 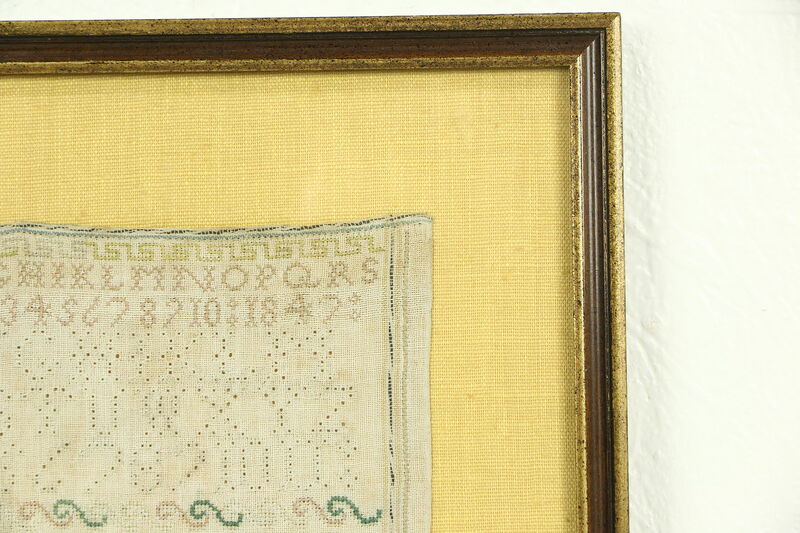 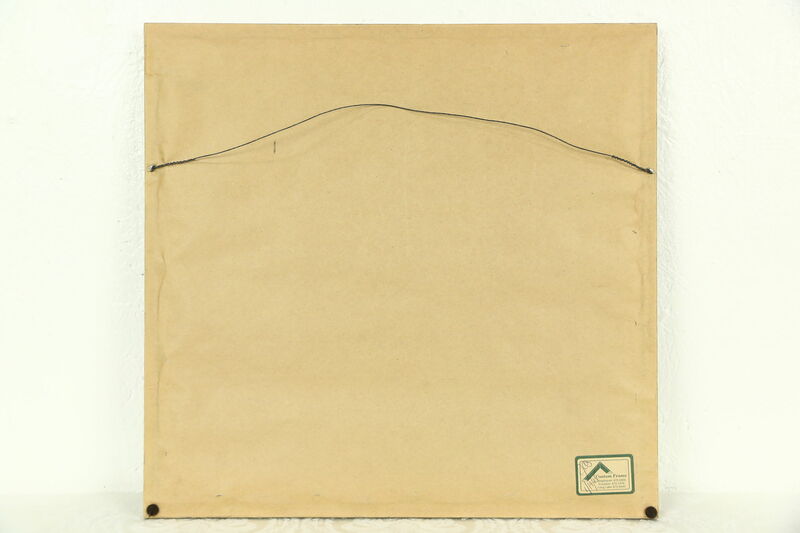 Overall size is 17" x 18" and 1" deep.